These Michael Jackson videos are arranged in chronological order. The Jackson Five performing "I Want You Back" on the Hollywood Palace. "Rockin' Robin," from "Top of the Pops." Good video and audio quality. Matching outfits. "Don't Stop 'Til You Get Enough." A VEVO video. Advertisement may play before video starts. "Rock With You," also a VEVO video. "She's Out of My Life." The full "Thriller" music video. 13:43 long. A VEVO video, so watch for the advertisements. Michael Jackson performing "Billie Jean," in a music video and at the Motown 25th Anniversary Show, where he debuted his "moonwalk" dance style. Another VEVO video, this one for the song "Beat It." "Bad." Slighty off-sync, despite being an official video. 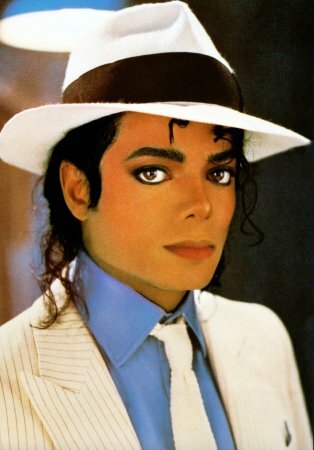 "Smooth Criminal," featuring one of the most awesome moments of silence in the history of music videos. The Martin Bashir documentary, "Living With Michael Jackson," parts 1-5.